The man who says he was the videotaped victim of police brutality in January was arrested Friday on unrelated hate crime-related assault charges, San Francisco authorities say. Sean Moore, 43, recently filed a police brutality claim against the city, after being shot by one of two officers who confronted him Jan. 6 at his Ocean View home over a restraining order violation. On Friday morning, officers went back to Moore’s house and arrested him again. He is accused of a hate crime targeting a Latino jogger just minutes earlier, police say. Moore was being held Friday on $250,000 bail for assault with a great bodily injury and two counts of criminal threats. Each charge carries a hate crime related sentencing enhancement. Back in January, Moore was charged with assaulting police officers before he was shot twice. He allegedly punched and kicked one officer, before the other opened fire. After a police body-worn camera video came to light, Moore's defense attorney accused the police of going too far and escalating the confrontation. A judge agreed and threw out most of the charges in May, ruling that the two officers should not have stayed on Moore’s property after he refused to talk to them. 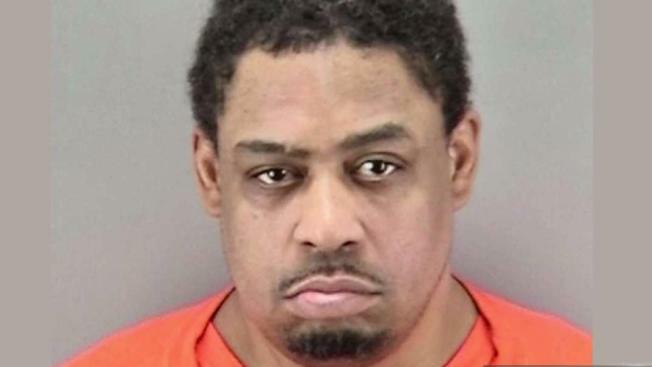 As for his latest brush with the law, his civil attorney, John Burris, told NBC Bay Area that he was not aware of his client’s arrest and would investigate further. “If there is something we can do to help him, we will,” Burris said.